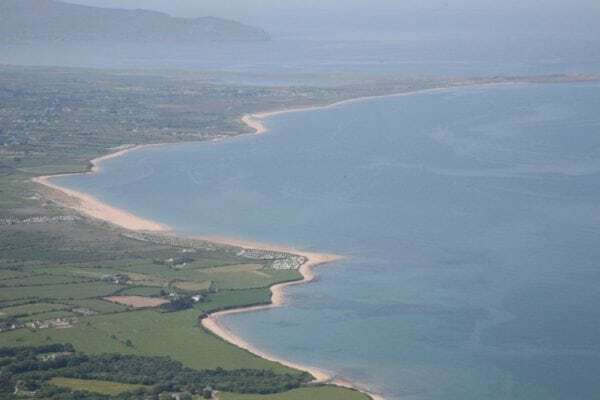 The Magharees Walking Loop is a casual easy 4 hour loop walking route on beaches around the Magherees Peninsula, county Kerry in south west Ireland. This walking route has great views of Tralee and Brandon Bay, the Brandon Mountain range and the Slieve Mish Mountains. This walk is only a short drive from Tralee and there are also many other shorter and longer walks in the area. Use our Map of Ireland and Sat Nav tool to get directions to the start point of this walk and use our detailed map and GPS on our App to find and follow the walking route and keep on track.